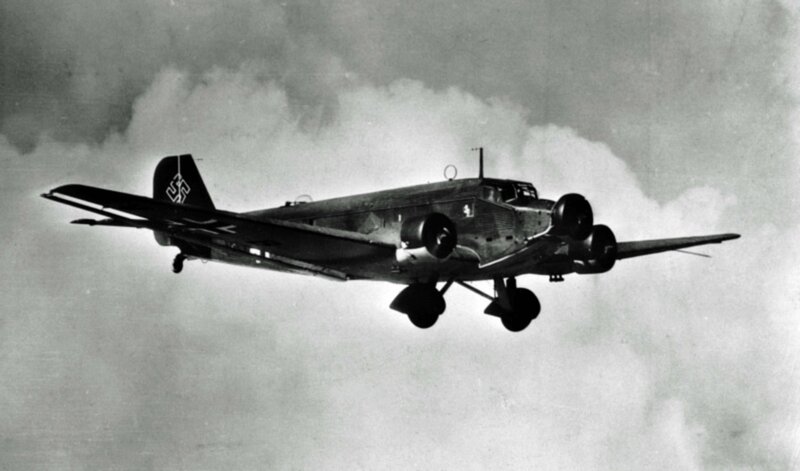 German military transport aircraft Junkers 52 in the sky. Junkers Ju.52/3m, “3m” in designation means drei Motoren – three-engined – German passenger and military transport aircraft. It was produced by the Junkers firm from 1932 to 1945. Ju 52 received unofficial nicknames: “Tante Ju” and “Iron Annie”, “Pipistrello” (“Bat”) – in Italy, during the civil war in Spain – “Pava”.